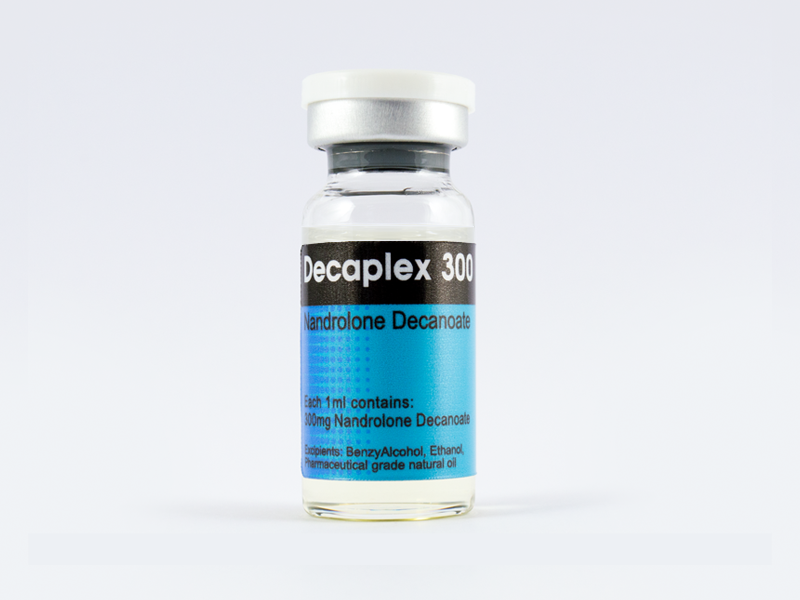 Nandrolone decanoate (DECAPLEX) is one of the most popular injectable steroids. It’s popularity is likely due to the fact that Deca exhibits significant anabolic effects with minimal androgenic side effects. Considered by many the best overall steroid for a man to use because of results vs. side effects. Nandrolone decanoate is most commonly injected once or twice per week at a dosage of 200-400mg. With this amount, estrogen conversion is slight so gynecomastia is unusual as a side effect. Also uncommon are problems with blood pressure, liver enzymes, or cholesterol levels. At higher dosages, side effects may become increasingly more frequent, but this is still a very well tolerated drug. DECAPLEX for bodbuilding can effectively be incorporated in both mass and cutting cycles. One major drawback to Deca is that it can be detected in a drug screen for as long as a year after use. Deca is considered to be the most popular of all steroids.